This page will not explain why you should use AVR chips or why PIC is better/worse. It is more the other way around - if you want to use an AVR chip - which one is a good choice. Capabilities, size, and cost are basically the main factors. With 8 pins these are the smallest chips. Advertised with 6 digital I/O lines, but I strongly recommend not to use the reset line - which means 5 usable I/O lines. 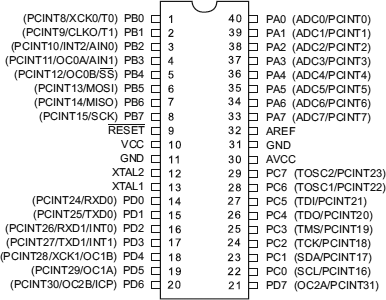 Older chips (like ATtiny11, ATtiny12, ATtiny13, ATtiny15, ATtiny26) should not be used. 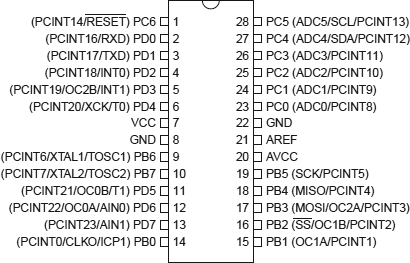 I do not use the ATtiny13A either, because the fusebits are different and the memory is pretty small (I rather spend the additional 20cents to get a ATtiny25. With 14 pins these are very powerful chips, best for most projects. More IO pins than the ATtinyX5 and just a few less than the ATtiny2313.